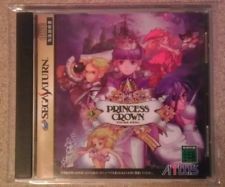 One cheap copy of Princess Crown, with spinecard. Read the description before buying or bidding. The seller has a low feedback but 100% positive. Maybe a chance to get games for cheap ? 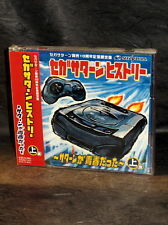 Check his other auctions for a few other japanese Sega Saturn games. 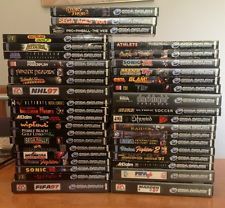 The seller has for sale 3 other lots, one with 45 Megadrive games, another with 8 Mega-CD games and a last one with 34 Dreamcast games. One of the most sought after released from Working Designs, in really good condition and complete with Backup Ram Cartridge Sticker and Flyer. And much more. Take a look at his auctions, you will probably find something interesting for you. Take the chance to own 2 of the Sega Saturn Xband Media Cards. 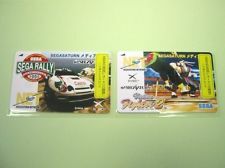 Four major version of the Media Cards are known to exist, 2 of them have been released with and without the Unit sticker. So for a complete collection, count 6 different Media Cards. 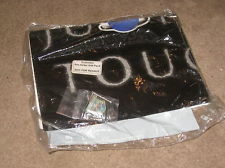 Original Sega Saturn UK pre order gift pack. This one is new, sealed. This was given to people who pre ordered the console on its original release in the UK. It contains poster, a metal badge, window sticker and other stuff. I never saw one before, and it seems an interesting thing to get. 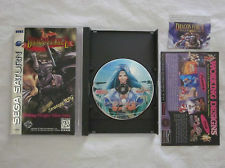 Panzer Dragoon Saga PAL - Complete and Pristine Condition - 3-Days Auction! A quick auction for this must have Saturn title, in pristine condition and complete with its outer cardboard box. 3-days auction means not everyone will see it, so maybe a chance to get it now! One of the most sought after cartridge for Sega Saturn, the Magic Card V2 allows you to do the swaptrick more easily. A beautiful Samsung Saturn with the hard to find South Korean version of NHL Powerplay '96. 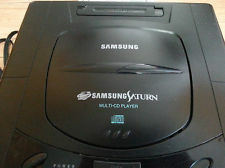 The console is the SPC-SATURN model. High BIN but people can send offers.